Poet to Painter: A group of writers, led by Judy Wyper, created several texts and poems about Peachland. These texts were passed on to a group of local painters, led by Deborah Livingstone, who painted responses to texts of their choice. 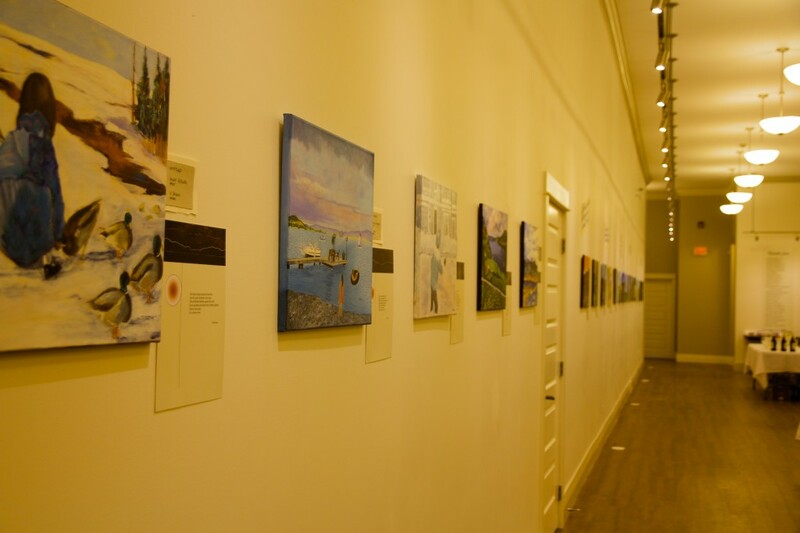 As you walk down the gallery you will see the paintings paired with their poems, with graphic design by S. Megan Hunter. Click here to see a gallery of the paintings with their poems. 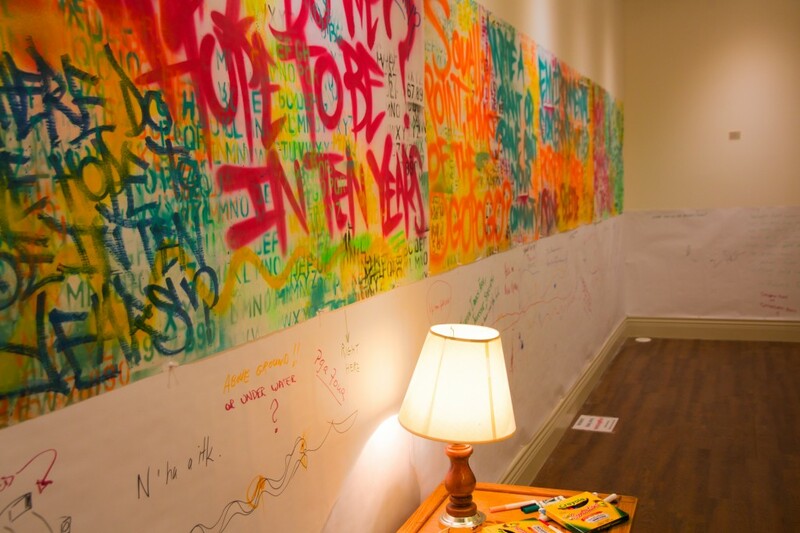 Write On Peachland: Eli Nedelec, a graffiti artist from Kelowna, was invited to turn one of the gallery alcoves into a place where you can write or draw your responses to a series of prompts and questions. Click here to see a gallery of all the graffiti questions. Sounds of Peachland: Artist Debbie Elliott recorded a variety of sounds of Peachland through a series of community walks. 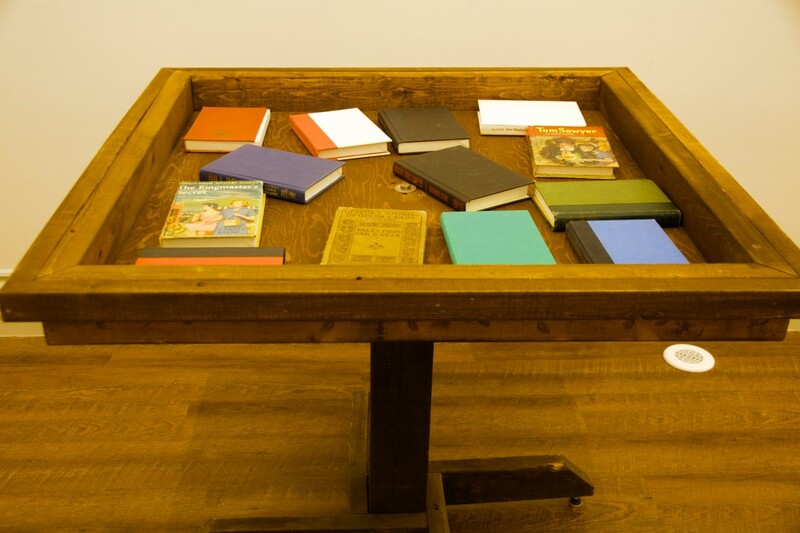 With artist S. Megan Hunter, they collected a library of these sounds in light-activated book boxes. You can “play” these sounds one at a time, or create an orchestra of Peachland sound! 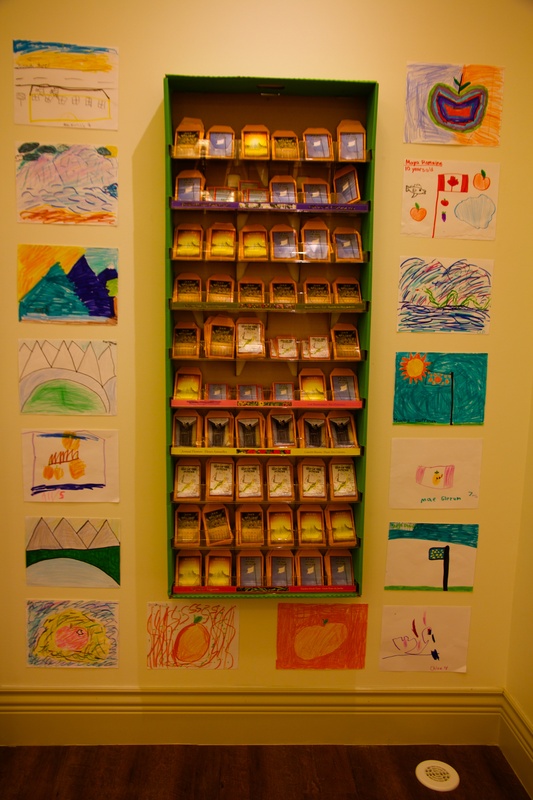 Seeds for Thought: In another alcove in the gallery, you will find a box of seed packages. Each seed packet provides instructions for a DIY art project. Created by writer Dania Tomlinson and artist Julia Prudhomme, these packets help you think about and share ideas for growth and the future. Bring back the projects for display by pinning on the bulletin board provided. 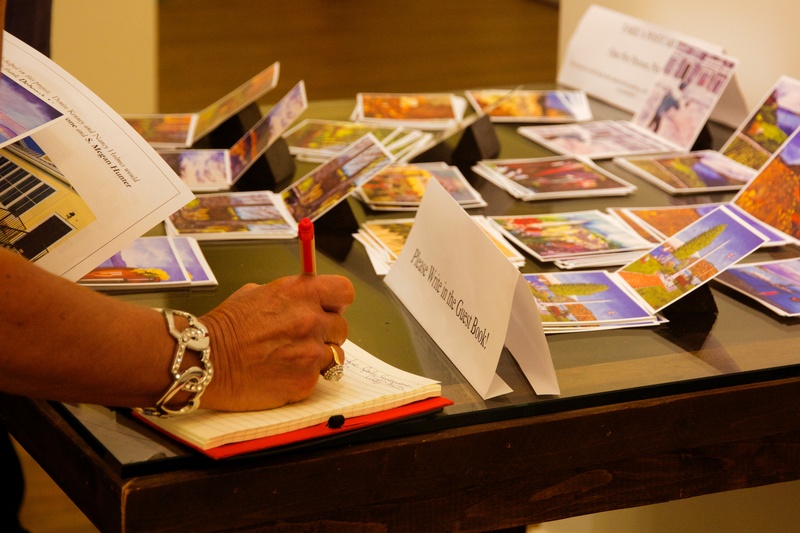 Souvenir Postcards: As you leave the gallery, you’ll find postcards of the paintings. You are welcome to take one and write the inspiring text on the back of the card, or record another one that you want to remember.